9100 Lorain is now a Triple 3. Third alarm. Signal 3-3-3. 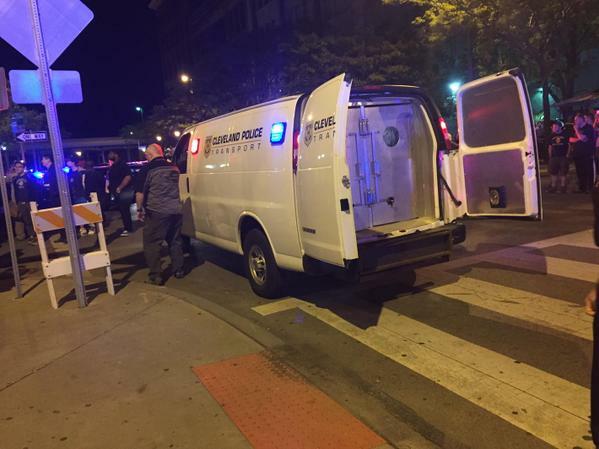 One CPD officer said about 5 people in transport van. Police have protesters blocked in on both ends on Johnson Court. Media being pushed out. E. 9th/Prospect, officers responding for reports of disruptive members of large crowd spraying random citizens with pepper spray.